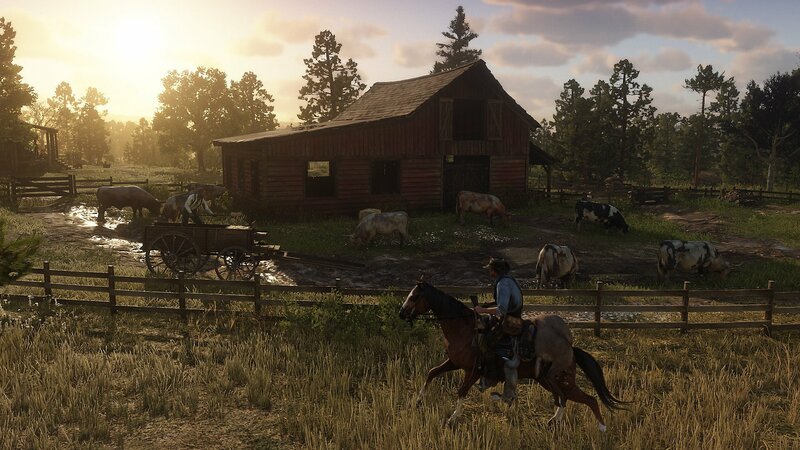 While there were plenty of contenders for the best open world game in 2018 Rockstar blew them all out of the water with Red Dead Redemption 2. Country crooner Gene Autrey once wrote “Oh, give me land, lots of land under starry skies above. Don't fence me in.” I don’t think he was a gamer, but if he was around nowadays he would most likely love the vast, sprawling fields of Red Dead Redemption 2. I’m sure it’s not a surprise to many that a Rockstar game ended up winning the award for best open world considering they more or less invented the concept way back when with Grand Theft Auto 3. When it comes to creating an intriguing open world experience they definitely know what they’re doing. Even with all that pedigree though RDR2 stands out as something special. While some of the narrative aspects of the RDR2 could feel drawn out at times, the more “quiet” moments I spent exploring all the big country at my own pace more than made up for it. Hopping on a horse and heading out into nature to do some hunting made for a great reprieve from the drudgery of the main game. I’m not sure if that was a deliberate contrast to make it feel like Arthur Morgan was getting a break from his own woes as well, but it was definitely easy to get lost in all the beauty once the ramblin’ got started. It should shock no one that some of the game’s most awe-inspiring moments came directly from the cinematic mode. Long rides between destinations became an excuse to take in the scenery and give your thumbs a rest. My personal favorite part of the entire game came during a post-mission cinematic traversal that was complimented by a soulful soundtrack. Then there were all the times the world would just distract you from what you were doing. A rabbit could dart along the trail and all of a sudden you were off hunting bigger game. Or maybe you’d spot a wild horse and attempt to tame it. Other times there could be strangers in need of help or bandits looking to shoot you down and take your belongings. Hours could be spent in the game world essentially creating your own adventures. No other game in 2018 came close to matching it in sheer gorgeousness and allurement of its open world environment. Truly, Red Dead Redemption 2 did not fence players in. Hey you’re doing it wrong! You’re supposed to post a game that nobody agrees should be #1, so there are raging debates in the comments and the article goes viral! Just wait for the game of the year announcement. Are you a news editor at Polygon? 2018 was a hell of a year for open world games too. Maybe the best ever? You had Red Dead Redemption 2, which everyone assumed would be excellent before it even came out. You had long-standing franchises like Assassin’s Creed and Far Cry putting out (arguably) their best open worlds yet. New games like Spider-Man doing it really well (or so I’ve read; haven’t played it). And God Of War even going open world. That's a no brainer, most amazing cowboy simulator ever. What open world game did you like better?